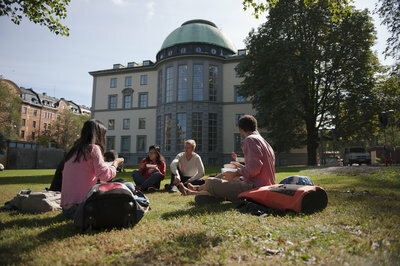 Stockholm School of Economics (SSE) is the leading business school in the Nordics with a unique business community network, private funding and little dependence on government support. For more than a century, SSE has educated talented women and men for leading positions within the business community and the public sector. SSE offers bachelor and master programs along with highly regarded Ph.D., MBA, and Executive Education programs. About 2,000 students are registered in programs at various levels. SSE was founded in 1909 through the initiative of the corporate world and has evolved in close dialogue with industry and society at large. As globalization accelerates and new challenges arise, close relationships with business leaders, policymakers, politicians, and experts, pave the ground for excellent research. The Swedish business community and the School have maintained the close ties. Today SSE has more than 100 Corporate Partners. SSE has earned a reputation for excellence, both in Sweden and around the world. The School collaborates with several leading institutions of higher education worldwide. 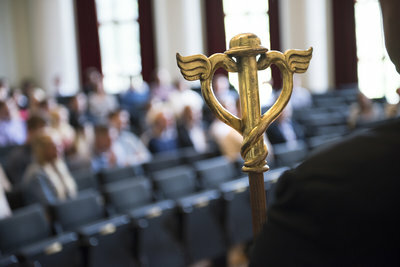 In 1999, SSE became the first business school in Sweden to receive world’s leading international accreditation for business school, EQUIS and has maintained the accreditation ever since. This certifies that all SSE main activities, teaching as well as research, are of the highest international standards. Further, SSE is the only Swedish member institution of CEMS (The Global Alliance in Management Education) and PIM (Partnership in International Management). SSE is also the only Nordic representative in ICEDR (International Consortium for Executive Development Research), a society comprising the 25 foremost business schools (Harvard University, MIT, Wharton, among others) of business and 40 of the leading corporations (ABB, Deutsche Bank, Unilever, Ericsson to mention a few) in the world. IFL Executive Education at SSE is a subsidiary of SSE that offers open enrollment and customized programs for key personnel in private enterprise and public administration. IFL Executive Education at SSE offers development programs of the highest quality aim to enhance the competitive strength of firms, organizations, and individuals. 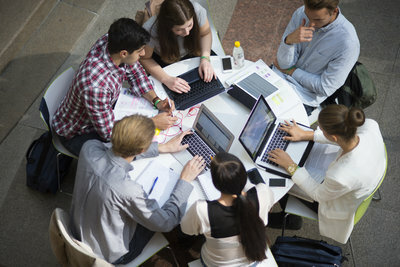 As a graduate from this program, you will have a deep understanding of how financial and non-financial controls can be integrated and used for steering purposes in multinational companies, how large companies report to external share- and stakeholders and how those evaluate the financial and non-financial performance of companies. The Master of Science Program in Business & Management will develop the managerial knowledge and skills needed to excel in today’s organizations. The Program will prepare you to act proficiently and to make decisions in highly uncertain and complex environments. These contexts require innovative marketing campaigns, new product development processes, transformation projects, dynamic strategies, and organizations. These are fundamental means for both nascent entrepreneurial ventures and established corporations that strive to maintain their edge through ongoing renewal. Do you love meeting new people and cultures, leading and collaborating, inspiring and being inspired by talented professionals from different backgrounds? Welcome to International Business! The MSc in International Business provides you with the tools to master the challenges of management and strategy in global organizations. The program combines advanced analytical training with active learning in real projects together with SSE and CEMS corporate partners. Upon admission to the MSc in International Business candidates are pre-approved to the CEMS MIM. The two-year MSc program in Economics (120 ECTS credits) will equip you to address challenging economic problems and provide you with excellent tools to pursue careers in both the public and the private sector. The program puts an emphasis on problem-solving skills that can be applied in a wide variety of settings and offers an invaluable start to your career. By using modern economic analysis and quantitative empirical methods, the program gives you the tools to analyze complex real-world problems in public policy making, as well as in private business and international organizations. Applied Economic Analysis. International Economics. The program is taught by experienced faculty with outstanding expertise in financial topics. Topics covered include modern Capital Markets, Valuation (including options), Fixed Income, and Capital Structure. Electives include Value Investing, Restructuring, Mergers and Acquisitions, Private Equity and International Finance.